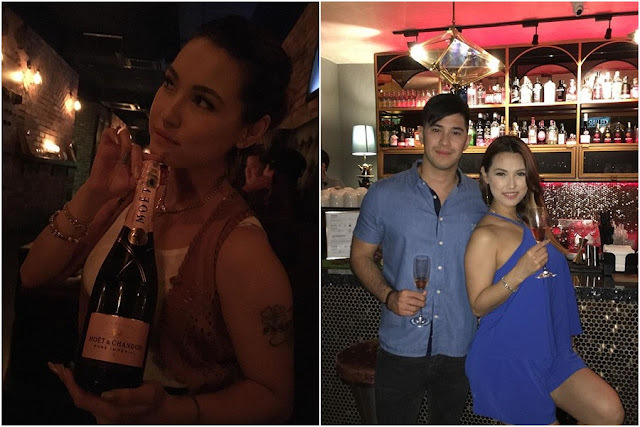 Former AV (Adult Video) Japanese idol Maria Ozawa is currently on a holiday in Malaysia with her new lover, Filipino actor and chef Jose Sarasola. The 31-year-old actress of Canadian and Japanese ancestry has been in Malaysian since last weekend and she has posted a number of photos of her adventures in Kuala Lumpur. Maria came to Kuala Lumpur with Jose after spending a couple of days in the Philippines. She posted a “Hello Kuala Lumpur” post, announcing her arrival in the city yesterday. Some of the places she visited include Bukit Bintang, Jalan Alor, Chaze bar and The Vault KL. Using the pen name “Miyabi", Maria started her career in adult films in 2005, gaining fans across Asia. She has since left the adult film industry and since 2012 onwards has begun appearing in mainstream films in Taiwan, Indonesia and the Philippines.